Wyrd is the story of Shakespeare’s Macbeth, or rather the story behind Shakespeare’s Macbeth, told from the perspective of the three wyrd sisters who make that story happen. 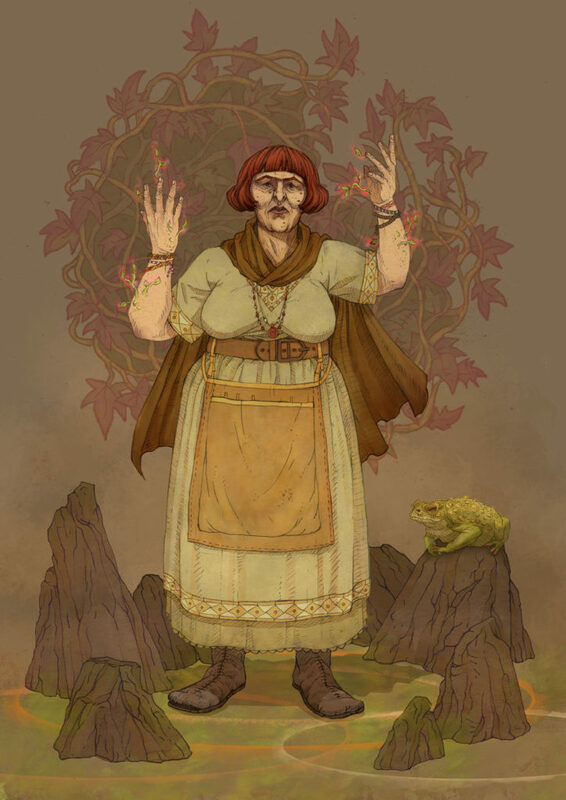 Morag is a thousand-year-old hedge witch, cunning woman, and midwife who walks the line between humble medicine woman and immortal green goddess. She cultivates the eco-magic of herbs, roots, and sprouts.